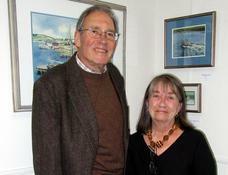 For the month of March, artist Tom Pickle has his artwork exhibited in Pine Shores Art Association gallery in Manahawkin. This is a magnificent show of artwork. You will not want to miss it. the two moved North. 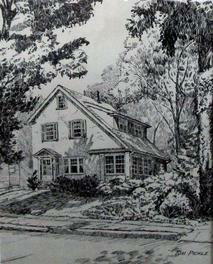 Today they reside in Little Egg Harbor. 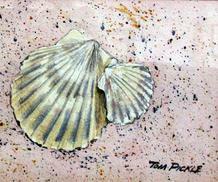 We are indeed fortunate to to be able to learn from and enjoy the wonderful paintings of the very talented Tom Pickle. Artists's Reception was on Saturday afternoon, March 3rd. See below for photos from this event.